A MakeIt4MeM.com best seller! 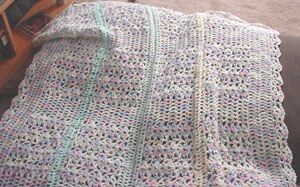 Over 25 years experience creating this timeless keepsake, which guarantees a quality finished blanket. 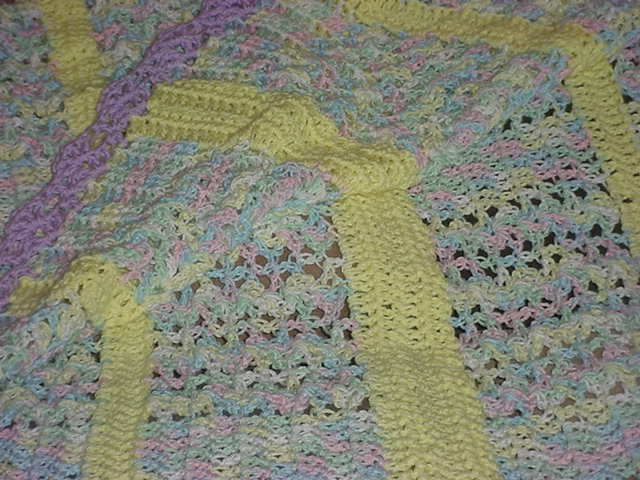 Warm and soft hand crochet shell pattern baby blanket. Machine washable/dryable. A wonderful accessory for any room with year round comfort, as well as a treasured keepsake to enjoy for generations. Standard size is 4'x6'. Available in Rainbow (multi pastel colors), Pink, Blue, Yellow, White, Lilac (Purple), Tiffany Blue or custom color(s) of your choice.